Welcome to a truly unique hotel experience in Calgary. Hotel Blackfoot is a vibrant, contemporary hotel located just minutes from downtown. For more than 40 years we have maintained a singular focus, to provide unrivaled accommodations, care and value to each guest who stays with us. As a privately owned business, we are personally committed to ensuring that every aspect of your visit exceeds your expectations. 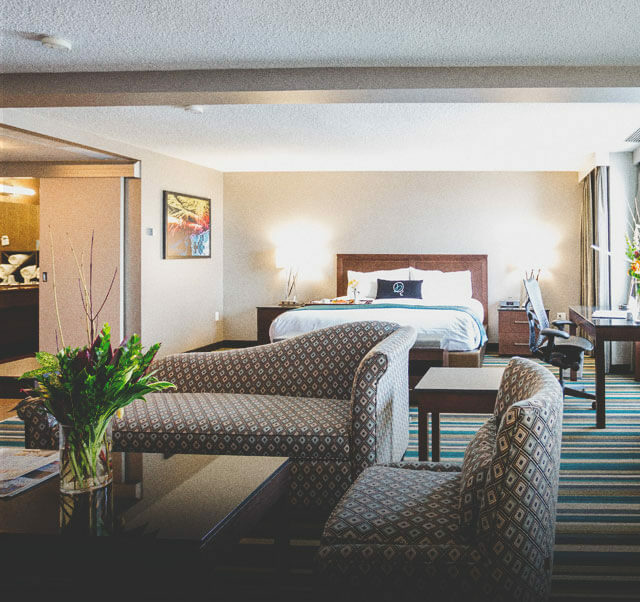 Inspired by the truly dazzling views we offer of both the majestic Rocky Mountains to the west and Calgary's ever-growing urban skyline, Hotel Blackfoot provides the perfect blend of amenities for both the business and leisure traveller. Our nearly 200 immaculate guest rooms and suites have all been completely redesigned, capturing the colour and spirit of our unique landscape, and appointed with thoughtful and unexpected comforts. Within the hotel you will find delicious dining options, world-class entertainment and the entire Hotel Blackfoot service team â€“ committed to providing the highest level of care and satisfaction to you. So welcome to Hotel Blackfoot, we're always here for you. Welcome to Hotel Blackfoot, a vibrant, contemporary hotel located just minutes from downtown. For more than 40 years we have maintained a singular focus, to provide unrivaled accommodations, care, and value to each guest who stays with us. As a privately owned business, we are personally committed to ensuring that every aspect of your visit exceeds your expectations and providing the perfect blend of amenities for both the business and leisure traveller. Our nearly 200 immaculate guest rooms and suites have all been designed to capture the colour and spirit of our unique landscape, and appointed with thoughtful and unexpected comforts. Within the hotel, you will find delicious dining options, world-class entertainment and the entire Hotel Blackfoot service team committed to providing the highest level of care and satisfaction to you. So welcome to Hotel Blackfoot, we're always here for you. 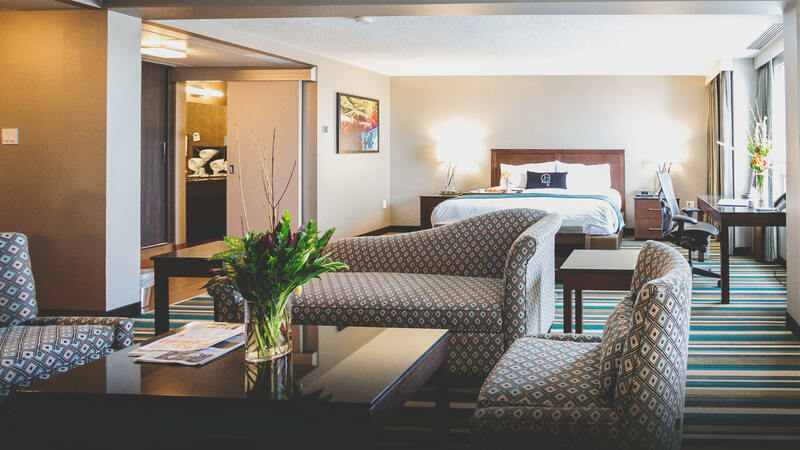 With a central location on Blackfoot Trail, an on-site comedy club and live jazz music in the Lobby Lounge, the Hotel Blackfoot is the place for curious travellers looking for fun and excitement. Hotel Blackfoot’s Sunday brunch buffet has become a Calgary tradition. The hotel also hosts Friday and Saturday dinner buffets and weekday lunch buffets.